It is heartbreaking news to report that the Queen of Soul, Aretha Franklin has passed away at the age of 76. Franklin had been battling pancreatic cancer. Franklin was known to have one of the greatest voices in the world for hits such as "Respect" and "A Natual Woman." 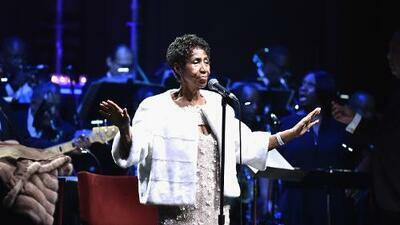 Franklin passed away in her Detroit home with her friends and family by her side. Her health had been deteriorating for many, many months and was down to 86 pounds. The Franklin family released a statement saying: "In one of the darkest moments of our lives, we are not able to find the appropriate words to express the pain in our heart. We have lost the matriarch and rock of our family." Let us enjoy some of Franklin's classics such as "Respect." and "I Will Survive" (The Aretha version)... that voice is amazing! and Aretha Franklin - "Natural Woman." Fans are leaving flowers on Aretha Franklin's star on the Hollywood Walk of Fame.